In the Southern part of Kumamoto Prefecture is the Shiranui Sea also known as "the Mediterranean Sea of Kyushu". 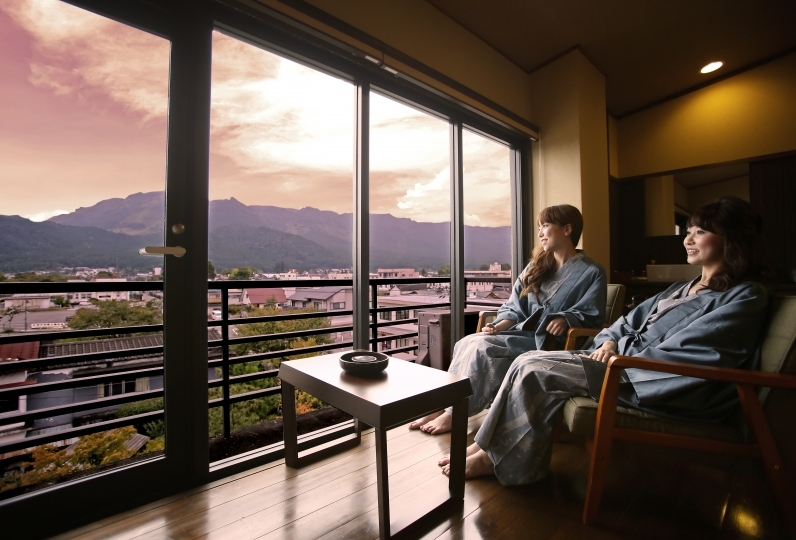 From "Yunoko Umi to Yuyake", guests can enjoy the scenic view of the Amakusa Islands across the sea and of the magnificent Mount Unzen. 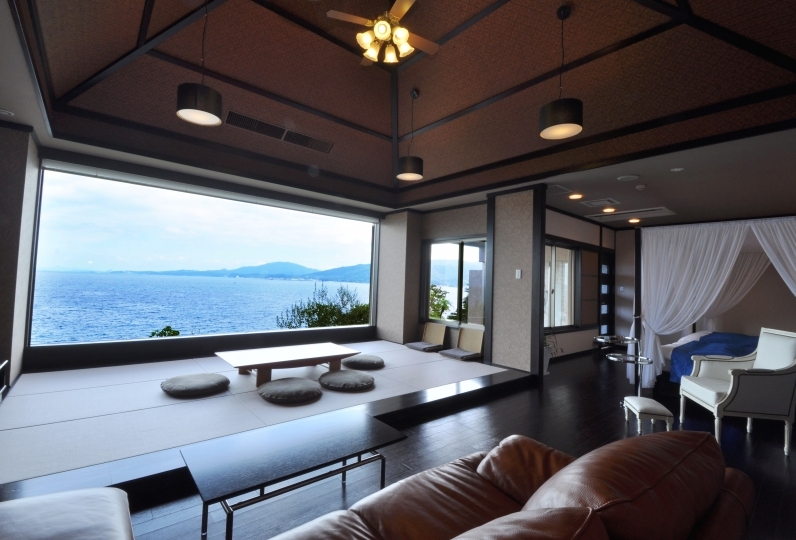 The room overlooks the Shiranui Sea and gives it a sense of openness. With your loved ones, friends, or with your family, please enjoy a relaxing stay here. 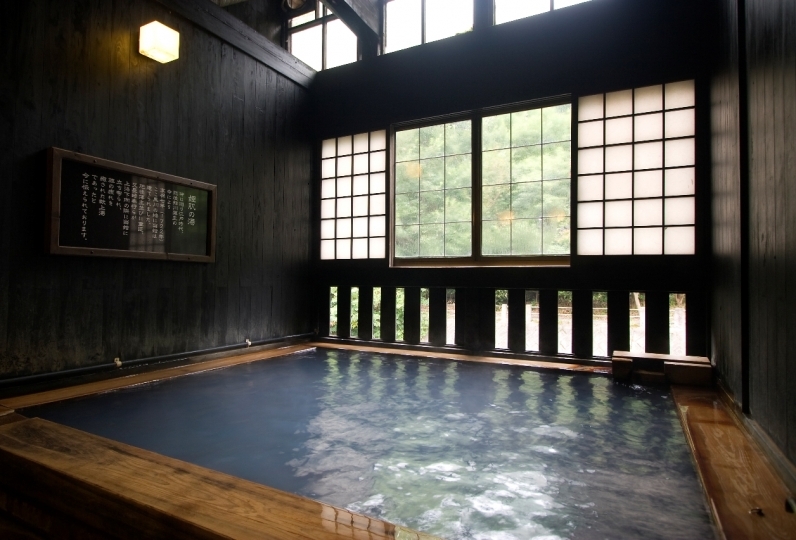 "Yunoko Onsen" was chosen as one of the 100 famous hot springs in Japan. 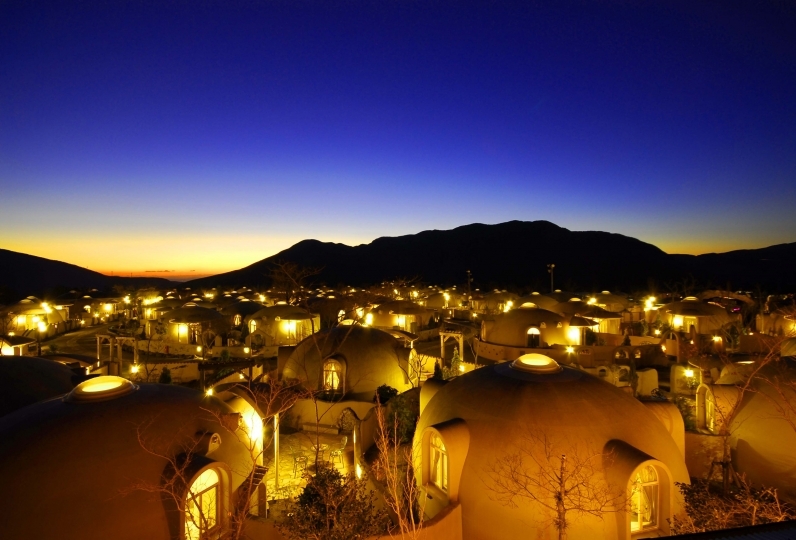 While being embraced by the gentle spring water, take a moment to enjoy the spectacular view of the sunset. When the body and mind are healed, head towards the restaurant where 60 kinds of dishes are available. Seasonal local vegetables and the chef's carefully selected seafood are available. You can enjoy both Japanese and Western style buffet. Activities such as fishing and swimming in the sea are available. 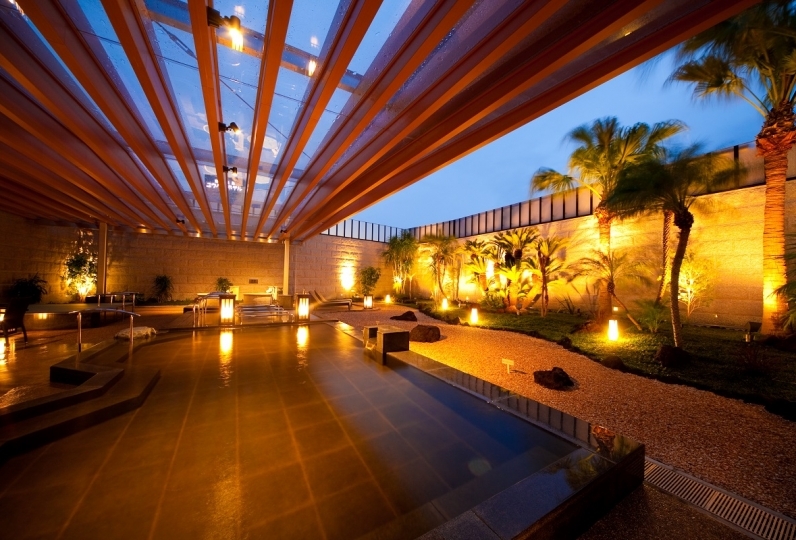 Leisure facilities that can be enjoyed throughout the year are available in the hot spring resort area. Would you like to travel in freedom? thank you for helping me. The rooms are old but clean and well kept and clean. Anxious point is the view of the bath. The inner bath also faces the sea, but there is a feeling of blockage in the frosted glass though there may be public eye in front of the eyes. The outdoor bath is too small. Evaluation goes up when it is made to see the ocean, the setting sun. Regarding meals, sashimi was fresh and good. I think that it is necessary to devise a means that can be provided warmly, such as meat. I felt that education for human service was very good. I am indebted to you for this occasion. It was my first time to visit the sea and the sunset at the hot spring hot spring. 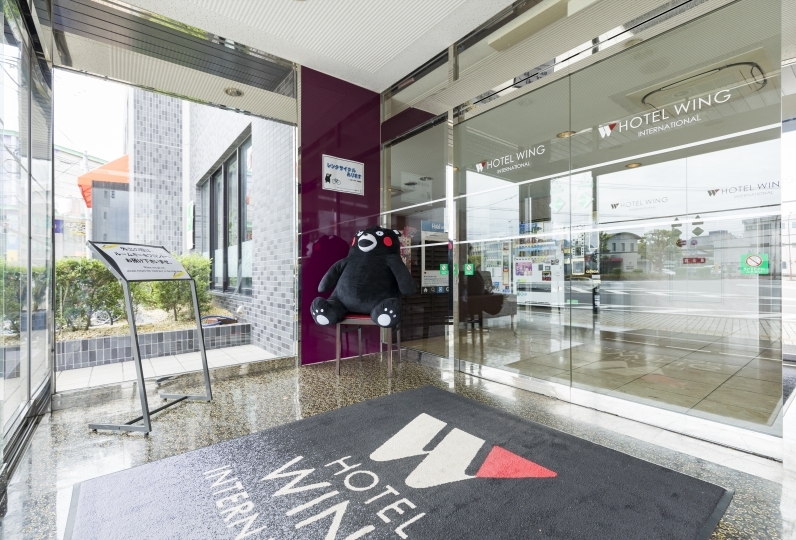 Although I was attracted by the goodness of the word of mouth, I thought that everyone was a wonderful hotel as recommended. The hospitality of the staff The hospitality at the grotto, the wonderfulness of the cuisine caught my heart. I was lucky to see the fireworks festival at the special seat, and we were able to have a wonderful late summer with two parents and two children. I would like to invite you again. I am indebted to you. Thank you. The room I thought was strange The room in the Japanese style room was painful due to smell of cigarettes. The hot water of the pot had a bad smell. I wonder if the hot springs are too cold. Good point The customer service of the meal was very good. Viking's meal content was also good. 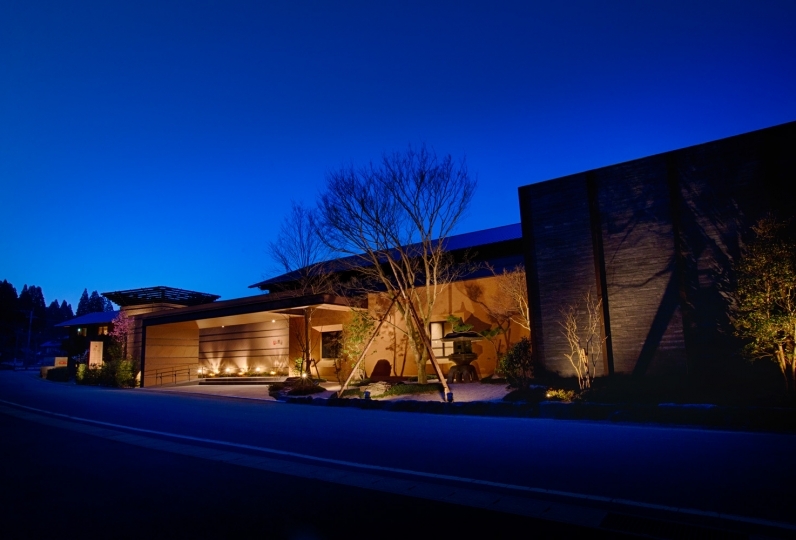 While enjoying the view of one of the 100 famous sunsets in Japan, enjoy both Japanese and Western style buffet. Savour the sashimi and dried largehead hairtail blessed from our seas, delicious miso soup, and gourmet Western dishes prepared by our head chef. You can enjoy a buffet lined with seasonal local vegetables and the chef's carefully selected seafood. 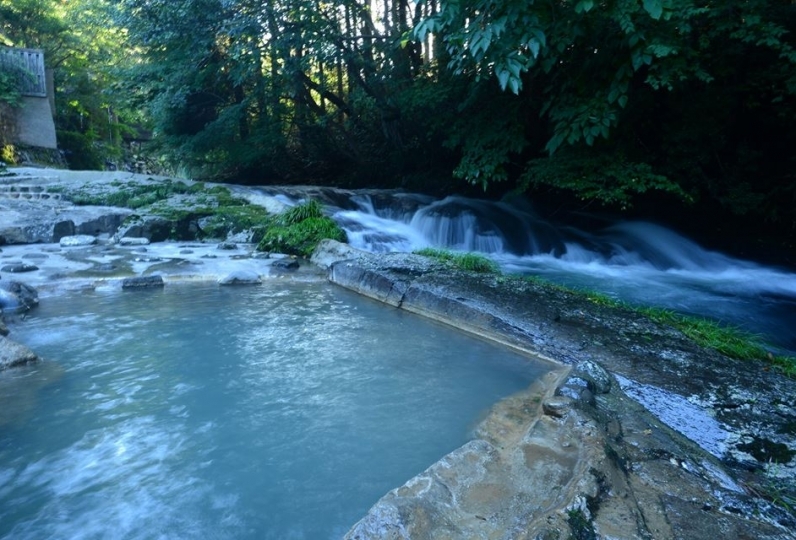 While being embraced by the gentle spring water, relieve yourself of all the stress. 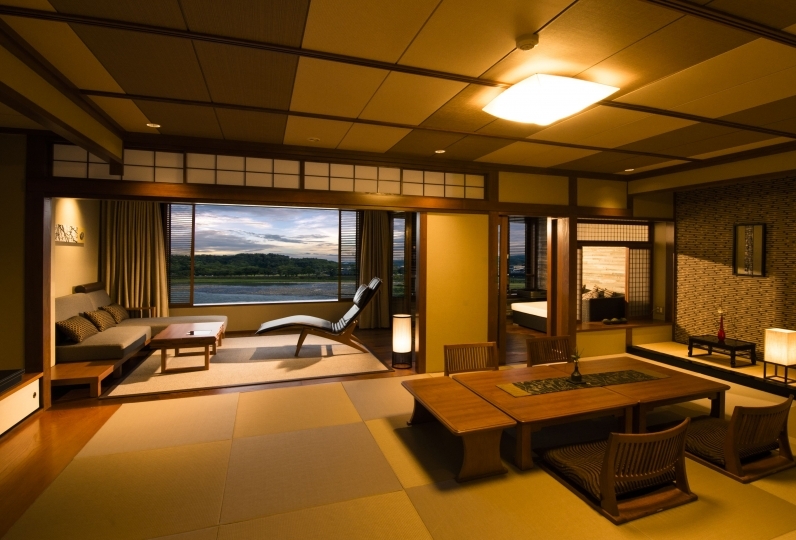 Five rooms with retro atmosphere and Japanese quality. They can be used as a small dining areas. 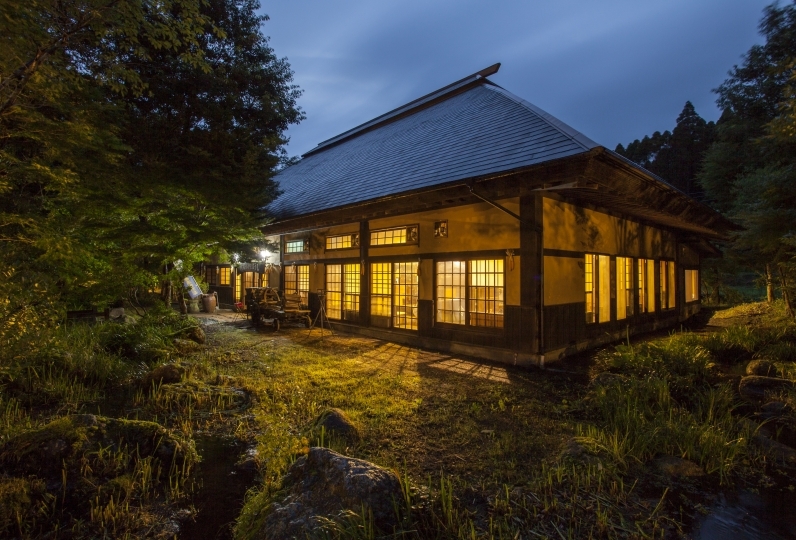 Yunoko Onsen is filled with tourist attractions and leisure facilities such as the Fukuda Farm, Yunoko Fishing Park and Kangetsu Bridge, suitable for couples and families to enjoy. Please come and visit these places. 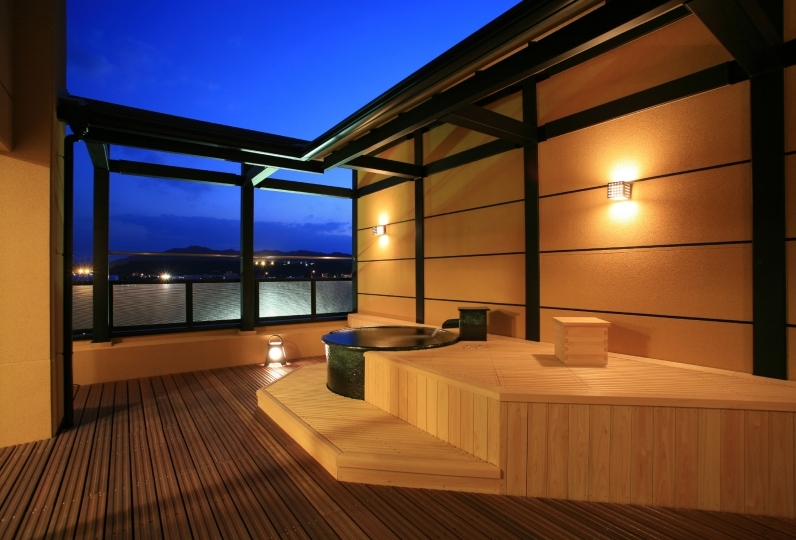 · Bath fee (150 yen) is not included. ※ When accompanying children of 0-2 years (no meal / no futon), please inform us of the number through the free comment section at the time of reservation. 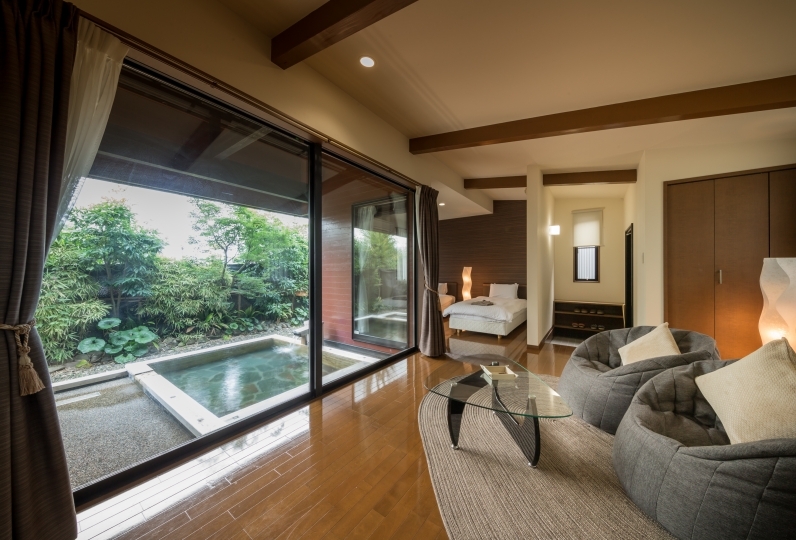 ※ Western room can accommodate for 1 adult and 1 child. ※Pickup service available to Shin-Minamata Station and Minamata Station. Please make a reservation in advance.